Time to move overseas! 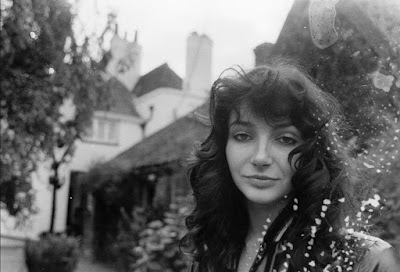 In the latest installment of this series on women that should be inducted into the Rock Hall, the focus turns to three magnificent, enigmatic voices from England, Scotland, and Ireland, respectively: Kate Bush, Annie Lennox (via Eurythmics), and Sinead O'Connor. A case study for the now-abandoned concept of "artist development," the preternaturally gifted Catherine Bush was signed to EMI at age 16, with an assist from Pink Floyd 's David Gilmour. She didn't release her debut The Kick Inside until she was 19, and that album's hit "Wuthering Heights" launched her into the stratosphere of popular consciousness in England, if not stateside. But it was just a matter of time. Literate, ethereal and wielding an unearthly voice, Bush released three more records with varying success, but there was no denying her vision and intellect. She eventually broke through in the U.S. with the mesmerizing track "Running Up That Hill" from the 1985 album Hounds of Love; it was also a major success in her homeland, even displacing Madonna's "Like a Virgin" off the top of the pop charts there. International recognition also came via her emotional duet with Peter Gabriel, 1986's "Don't Give Up." Bush went on to release such acclaimed efforts as The Sensual World (featuring the single "This Woman's Work"), The Red Shoes, and Aerial. In 2014, the reclusive legend sold out a 22-show residency in London, and in late-breaking news, she is being honored with an entire festival in Scotland this September called "Running Up That Hill – A Celebration Of The Work Of Kate Bush." With disciples ranging from Björk to Tori Amos to Radiohead, hers is the type of peerless, critically-acclaimed career that the Rock Hall should ideally be honoring. Here's hoping they wake up and recognize one of the most significant art rock voices to have ever drifted into our orbit. The vocal half of new wave/synthpop icons Eurythmics, Annie Lennox would be a welcome addition to the Rock Hall via the act's induction. In 1980, the visually-savvy duo rose from the ashes of the band the Tourists, later becaming mainstays of both the charts and MTV. It all started with the harrowing single "Sweet Dreams (Are Made of This)," and continued with such high-charting singles as "Who's That Girl, "Here Comes The Rain Again" and the boisterous "Would I Lie to You." Alongside her guitar-playing foil Dave Stewart, Lennox deployed an exquisite voice that continues to seduce, chill, and burn. And who could forget "Sisters Are Doin' it for Themselves," her duet with Aretha Franklin? Conveying a wide spectrum of human emotion whenever she takes the mic, Lennox is that rare, striking talent with just the right amount of commercial and critical success to merit her and Stewart serious consideration for the Hall. Her laudable, Oscar and Grammy-winning solo career and soundtrack work could also help the case for a Eurythmics induction. 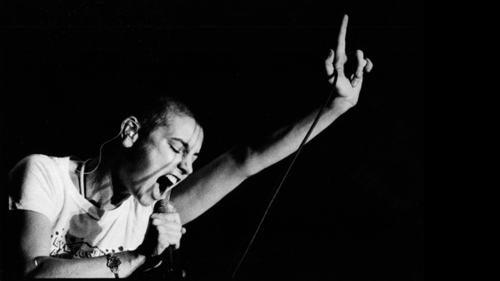 Arriving as passionate as she was serious, Irish wailer Sinead O'Connor rejected and revolutionized the music industry's notions of what a female pop star should look like, act like, or behave like. She entered the global frame in 1987 with her head-turning debut album, The Lion and the Cobra, which contained the college rock/pre-"alternative"-era hits "Mandinka" and "(I Want Your) Hands on Me." In one early career highlight, she performed "Mandinka" on the 1989 Grammys in a startling breakthrough performance. Of course, the zenith of O'Connor's career is I Do Not Want What I Haven't Got's "Nothing Compares 2 U," a timeless global hit penned by Prince and propagated by a bracingly intimate music video. Her discography continued in the decades to come with mixed success, though she received warm critical notices for 2014's I'm Not Bossy, I'm the Boss and especially 2012's How About I Be Me (And You Be You)? Let's be real: O'Connor is a polarizing figure; she's agitated everyone from Catholics to Miley Cyrus. But what has to be acknowledged is her powerhouse voice and warrior's resolve, as well as her influence on so many artists that followed her lead (see: any female "alternative" star of the '90s and beyond, and more than a few acts on the Lilith Fair roster). In spite of all the tabloid press and social media dust-ups that have tarnished her public perception over the years, O'Connor's contributions are cemented, and she absolutely shouldn't be undervalued. She burned so brightly, and has continued to release significant music. It would be unfortunate if her well-documented troubles hurt her Rock Hall chances, as she clearly meets the induction criteria of musical excellence and influence. She probably wouldn't show up to the ceremony—and might even have a few choice words for the institution—but she should still be given her due. Sinead would give a speech that would make Mike Love say, "Oh girl...", but I would love every minute of it. She deserves to be in!